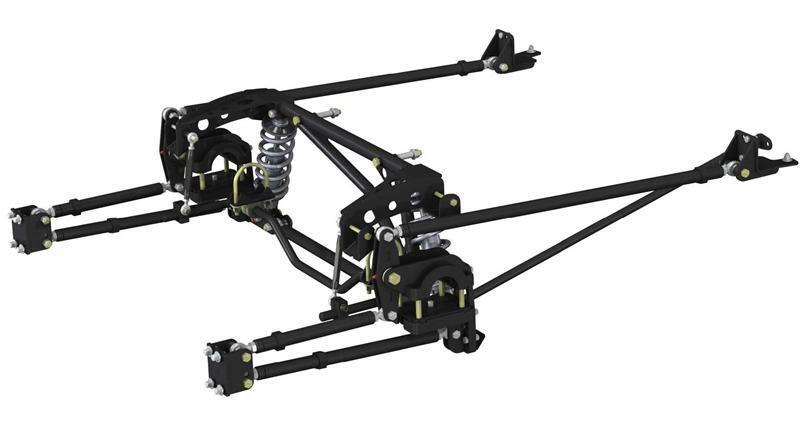 Available for 67-79 Mopar A-Body vehicles with 8 3/4” rear axles, this system replaces your leaf springs with its revolutionary 6 link suspension. 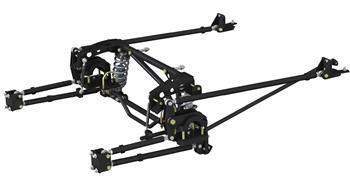 The 6 links replicate the geometry of the tried and true 4 link, while still mounting to the existing locations on the chassis, where the factory intended suspension loads to go. The axle is located laterally by a panhard bar that positions the roll center near the original location, so it plays nicely with stock or modified front geometry. There is no bind in this suspension like a traditional 3 or 4 link, no need for special links or compliant bushings. The side view instant center is adjustable by moving the forward lower link. The system allows the factory fuel tank to remain, further simplifying installation. Available with QA1 single, double or 4-way adjustable Pro Coil Systems and a wide range of spring rates to allow the system to be tailored to any application. Made in the USA. All Required Nuts, Bolts, etc.